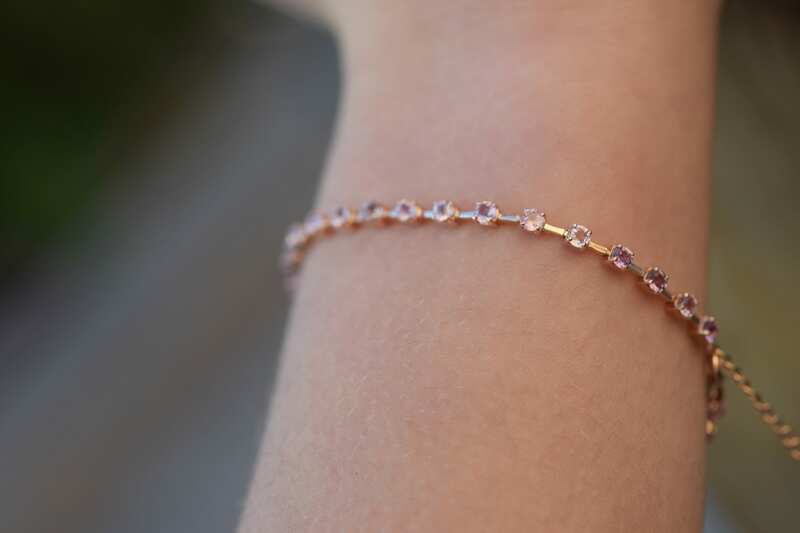 Eidelprecious Pink Sapphire Bracelet. 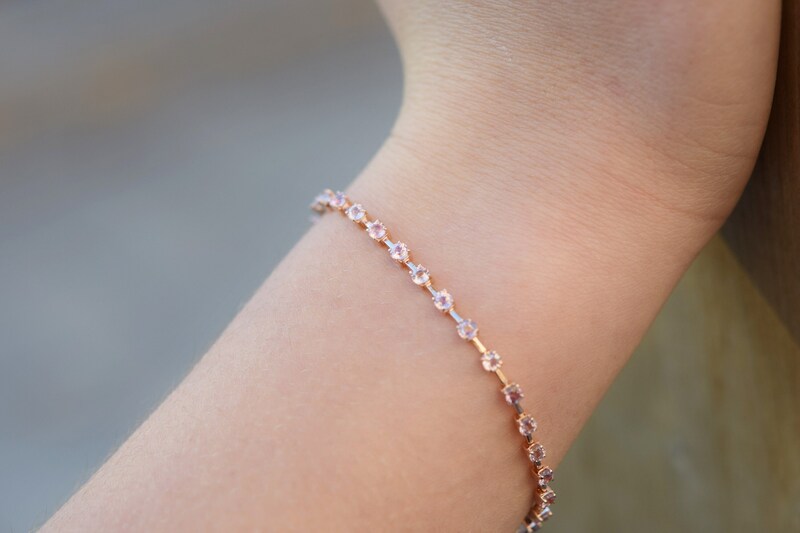 14k Rose gold bracelet. Anniversary gift. 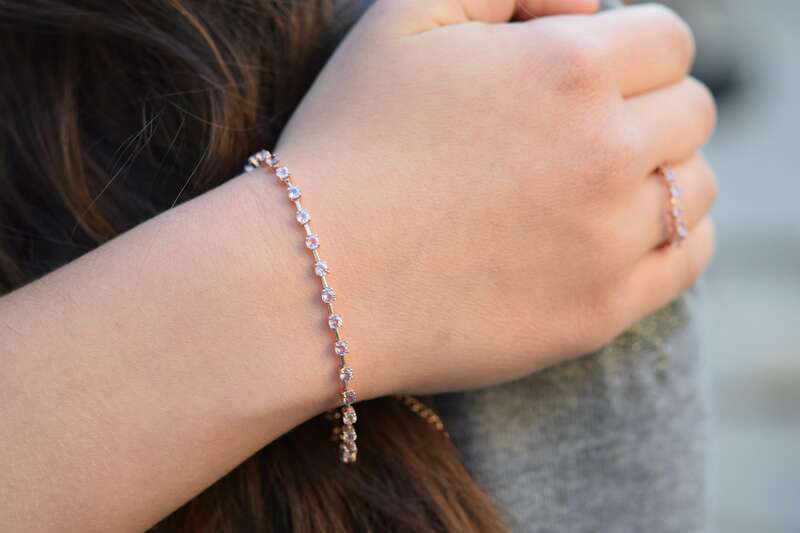 Tennis bracelet. 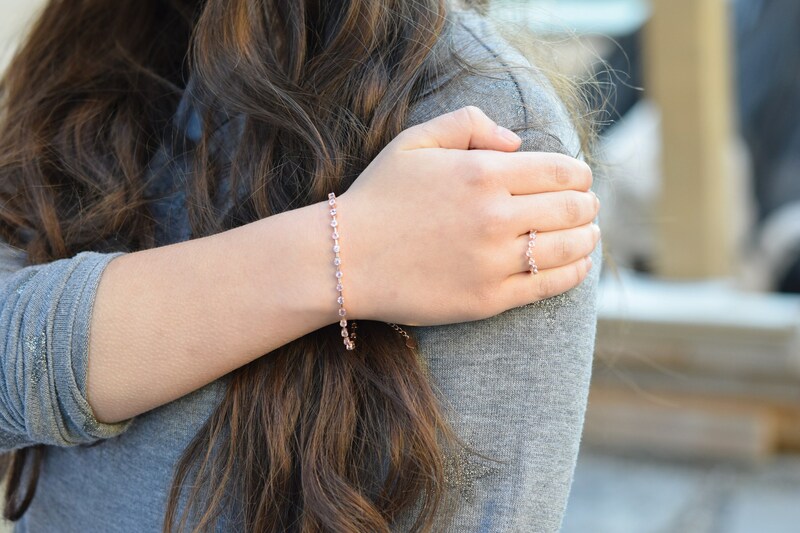 Blue sapphire bracelet by Eidelprecious. 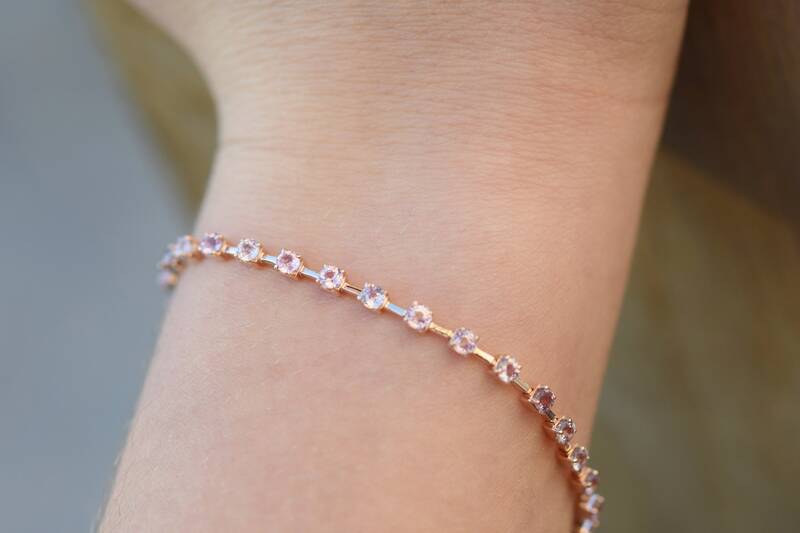 This tennis bracelet is beautiful and unique. 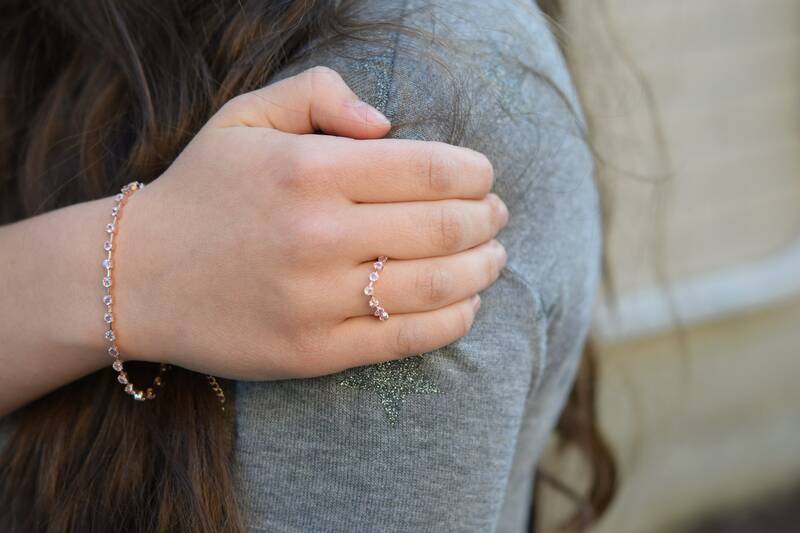 It is very delicate and feminine. 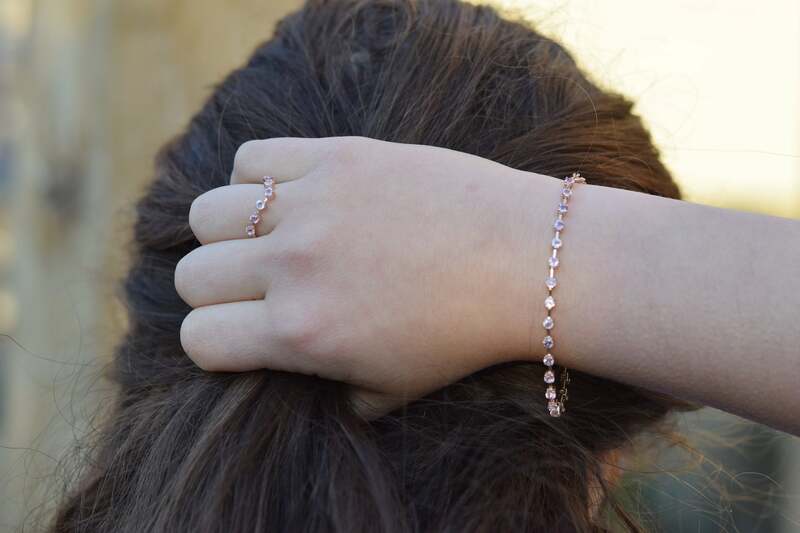 The bracelet is made in solid 14k rose gold. 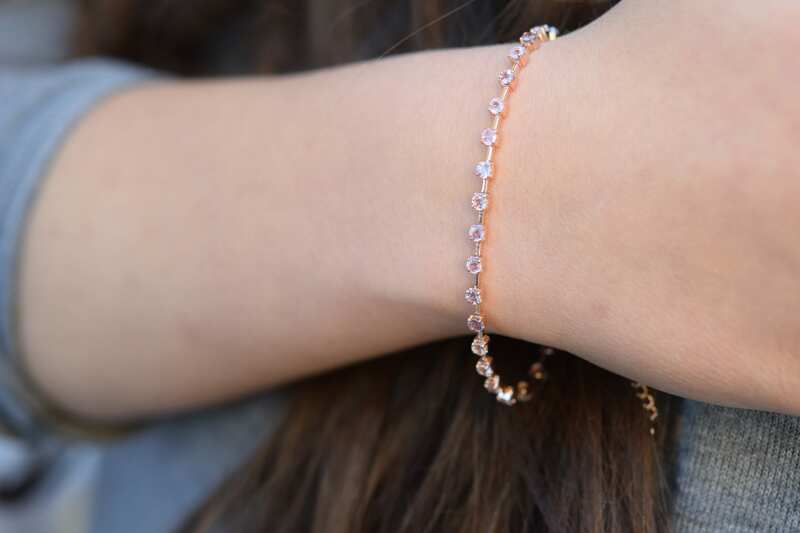 The sapphires are unheated and untreated in gorgeous peachy pink color. Amazing cut - tone of sparkles. 29x 3mm sapphires, VS. The length is 7.5 inch. 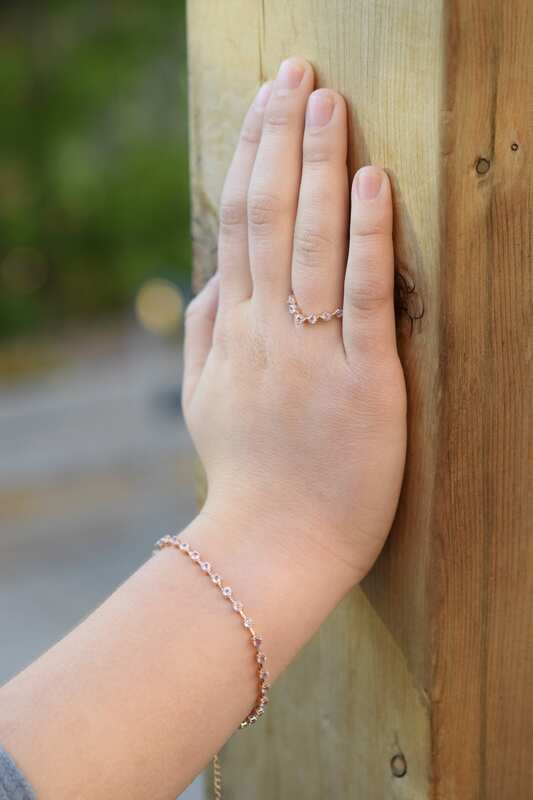 Adjustable chain, clasp closure. 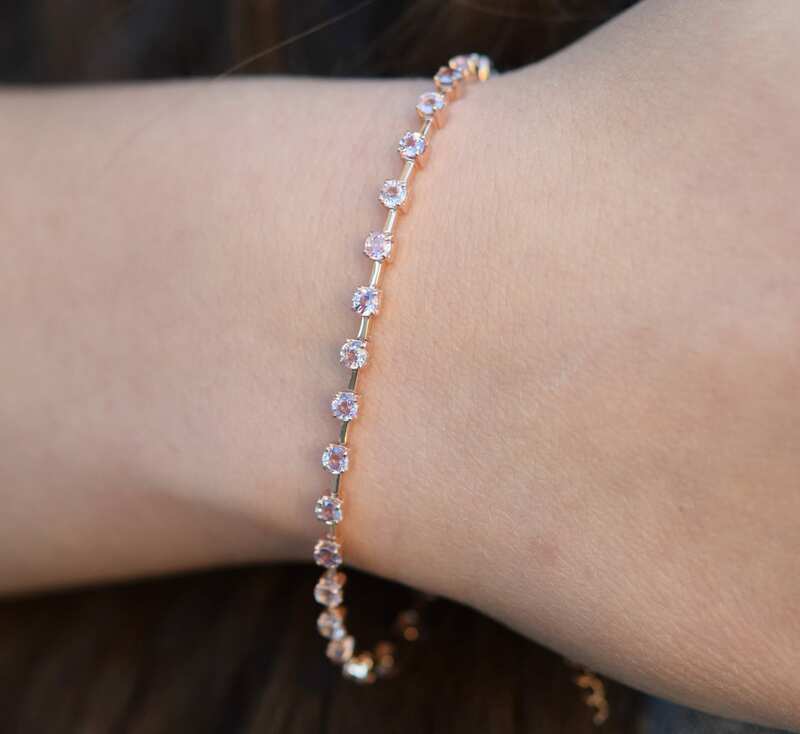 This bracelet would compliment any Eidelprecious engagement ring and make a perfect Anniversary gift. Matching necklace is available upon request.